Imagine a flash-mob/outdoor dance-karaoke jam, where you get to watch uber-cool street dancers strut their stuff and you can have a boogie yourself, under the stars, to your favourite tunes. This is “Trigger”, a free dance event that combines flash-mob performances from urban and street dance crews with interactive screen art and a chance for everyone to get up and groove. And the music? That’s nominated by the public, via social media using the hashtag #triggersong. 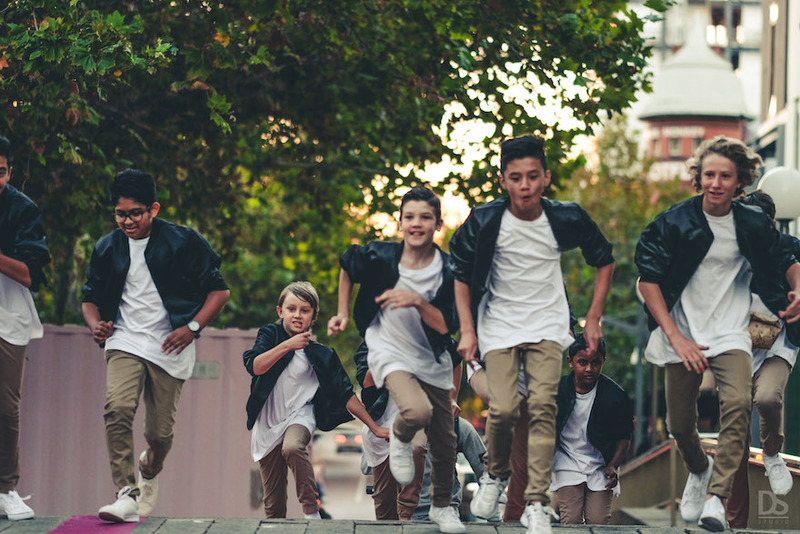 Taking place on Saturday 5 May, 5-9pm, “Trigger” is the grand finale of a week of free dance classes and performances presented by Ausdance WA in celebration of Australian Dance Week. To find out more about “Trigger” and Australian Dance Week, Seesaw caught up with director of The Dance Collective (TDC), Charisse Parnell, who has not one but three crews dancing in the show. Based in Perth’s southern suburbs, TDC offers dance classes for children and adults across 15 different styles. 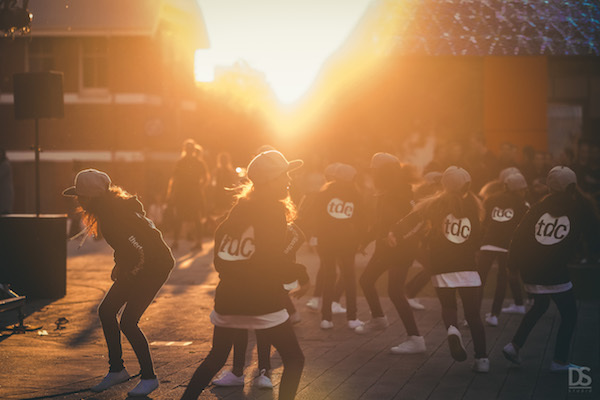 TDC also supplies dancers and choreographers for corporate events, media launches, flashmobs, locally made movies and television commercials, and delivers workshops and choreographic projects to schools and community centres. ‘There’s something special about performing in an open space.’ TDC at ‘Trigger’ 2017. As aforementioned, “Trigger” is the finale of Ausdance WA’s swag of free dance events celebrating Australian Dance Week. The program opens with a gala performance in Forrest Chase on Sunday 29 April, featuring a myriad of dance styles, ranging from Bollywood to ballet. At Perth’s King St Arts Centre there are evening classes in styles such as hip-hop, Chinese dance, swing dance and salsa, and in the mornings there are a range of open contemporary dance classes. 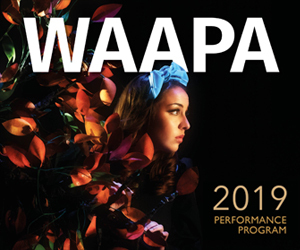 Australian Dance Week is Sunday 29 April – Saturday 5 May. Pictured top: The Dance Collective performing at “Trigger” 2017. ‘Dance brings us joy and happiness, it brings social connectedness, we express ideas, create artwork and enjoy an amazing high when we perform.’ TDC at ‘Trigger’ 2017.